International SEO is crucial for international brands, but given the complexity, mistakes are common in the 5 areas outlined in this article. International SEO (Search Engine Optimisation) is the process of optimising a website so that search engines can identify the countries the site targets, as well as the languages the content is written in, so that they can direct users to the most relevant version of the website based on the user’s location and language settings. It can be a time consuming and technical task, but the pay-off for international brands is worth it. International SEO gets a lot more complex than SEO for a single country/language, meaning mistakes are common. Below are 5 common SEO blunders we still see businesses making when attempting to rank overseas. Hreflang – did you forget something? Websites should use the ‘hreflang’ declaration in order to properly identify their various local sites and ensure Google can serve the most relevant language / local version to users searching in that language or from that location. Webmasters need to place the hreflang declaration in a header tag, in the HTTP headers, or within the XML sitemap. When in doubt, refer to the official Google hreflang guidance here (in English). Missing out a reference to the default site – often a webmaster will create a list of hreflang tags that are then applied to the various languages and countries, yet they then forget to add their original language page to the list. Missing return links – webmasters often leave out the reciprocal link back when setting up hreflang tags. For example, if page A is linking to page B, then page B also needs to link back to page A. If the reciprocal annotation is missing, Google will signal the error in Webmaster Console and may completely ignore the annotation for both pages. Linking back to the main site’s homepage instead of the direct equivalent page – specific links should point back to the exact equivalent page in the various languages / local versions, but some webmasters botch this and simply link everything back to the homepage. This doesn’t help Google, it fails the requirements laid out for hreflang, and isn’t helpful for users. Although specific hreflang link-backs take time to set up, they are needed. When creating any new content developers and marketing teams need to make sure there is a centralized system all local teams can refer to, and the person creating a new page knows which URL should be referred to in the hreflang. If everybody sticks to this process, chances are mistakes will be avoided. Linking to non-existent pages – we often see this where web developers set up code that automates the creation of the hreflang tags. The tags may end up referring to non-existent pages, either because the local team hasn’t set up an equivalent page, or they localized the page URL to make it search engine friendly. Teams should either establish a fixed URL format or ensure due diligence is carried out and hreflang errors audited regularly. Even retail giants like IKEA and Marks & Spencer failed to implement hreflang correctly (or at all!). For example, M&S only link to two local sites from their main homepage, and then they don’t link back from the local site back to the main homepage. Moreover, the UK retail giant has several other local sites, many of which are also in English but are left out from the hreflang declaration altogether. 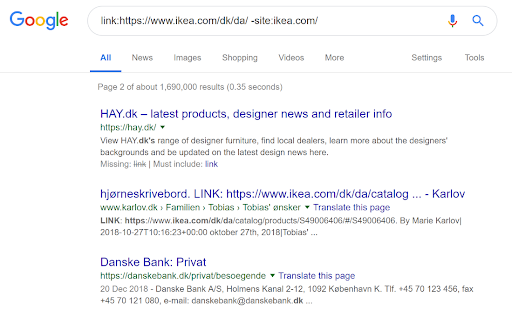 While Google does try to show the appropriate local version, using hreflang correctly would make a big difference to M&S’ organic search presence. The good news is that some brands do get hreflang right, and reap rich rewards. Look at cloud-based accounting software brand Xero. They have the correct hreflang setup for all their key service pages with one-to-one correspondence and even an x-default tag defined correctly. To build the domain authority of each local site, brands need to be prepared to allocate resources for link building separately for every language and/or country. This is especially important when using country-specific top-level domains. On the other hand, when building links for local sites within a single domain, the sub-directories still benefit from links to the top-level domain. This is helpful for websites where different language/country directories are located on the same domain. However, that doesn’t mean they can get away with not building links for each individual language/country section altogether, it just means they don’t need to do it as much. Some markets will be more competitive than others, but SEOs still need to build quality links for them all. A simple example to illustrate this in action can be seen on IKEA Denmark’s backlink profile. The vast majority of backlinks that Google sees as important come from other Danish websites. Focusing all content creation efforts on one specific site – creating one main, content-rich site will only build ranking for that site; other region-specific sites will not benefit from this. There is a saying in the SEO community, “The best place to hide something is page two of Google”. If a business wants to establish a local presence and have each local site ranking well on Google, then they need to create content for each region, especially within competitive markets. Making the content local involves not just translating the core pages, but also updating the site by creating fresh news and blog posts for the local sites. Small businesses aren’t the only ones we find cutting corners here. Consider WeWork, for example, the shared workspace provider has seen astronomical growth in North America and Europe. They have 11 workspaces in France, 17 in Germany, 6 in Spain, and 3 in Amsterdam, all with localized sites, but all with blog posts only in English. To make matters worse, WeWork has implemented hreflang tags in each of these English blog posts, declaring the languages to be French, German, Spanish etc. and they’ve cemented the deal by placing rel=”canonical” tags pointing to each location’s page itself. In Google’s eyes, they have therefore created 10 duplicate pages per blog post, and incorrectly declared the language for 90% of these pages. Ride-sharing app, Uber, on the other hand, does a pretty good job of localizing its blog posts and also creating content for each local market. Not only do they translate posts about the brand and app, but they also frequently create content specific to each city in the local language, and less frequently create content in English for the city to help tourists. The most annoying thing we found multilingual sites doing, even in 2018, was not translating the entire website to the customer’s chosen language. Far too often we come across websites where the main body content has been translated, especially on product pages, but the templates – menus, navigation elements, sidebars, supporting pages etc. – are still in English. One language does not fit all; it would be naive to assume that an English web page with prices in £ would cover off the US population, or that every Spanish speaker understands what the word checkout means. 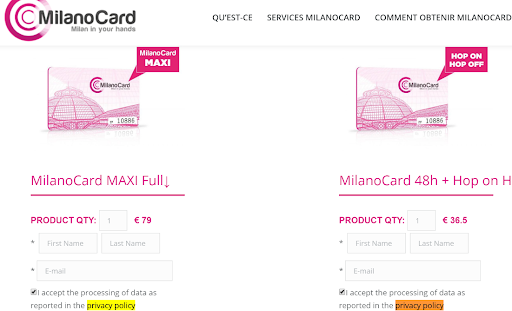 Not only does this create problems for users who don’t speak English, but it also seriously impacts the brand’s credibility with users who do speak enough English to deduce that the business does not care enough to cater to them properly, Moreover, if Google picks up pages with sparse content (e.g. image galleries) marked as Spanish, but on which most of the copy is in English, the search algorithm might not consider the page relevant to a Spanish speaker. Bonus Tip: Don’t just translate keywords, identify appropriate keywords, including slang, colloquialisms, and common parlance for each language and region to ensure you target the right people. This is a personal bugbear because businesses often spend a mountain of money, making multiple sites and doing all the above correctly. But when it comes to the users switching from one site to another, they implement dropdowns or site lists wherein the page is redirected to the homepage or shows as an error. 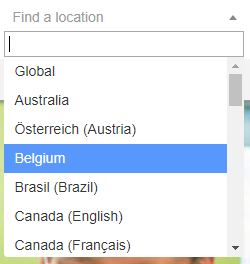 Even worse are the sites that forget to list their localized versions, and expect users to go back to Google to search for their local site version! As a user, I expect when I’m on a French site and click to navigate to English, I should be taken to the equivalent page on the English site and should not have to search all over again for the equivalent products, services or content that I was viewing on the French site. Switching languages should be simple and have the option to switch over to another site domain. Online retailer, ASOS makes it easy for users to switch their shopping experience from one country, language, and currency to another without losing the page the user was on and forcing users to find the product range all over again. Changing the currency/location simply opens up the corresponding page in the desired local site, even when the directory names are localized in the URL. Published on 01/23/2019 by Farhad Divecha. Farhad Divecha is the founder of AccuraCast, a multilingual digital marketing agency based in London & Madrid. Farhad has over 17 years of experience in SEO, digital advertising, mobile and social media marketing. His passions are data-led marketing, global growth, and AI-powered marketing technology.